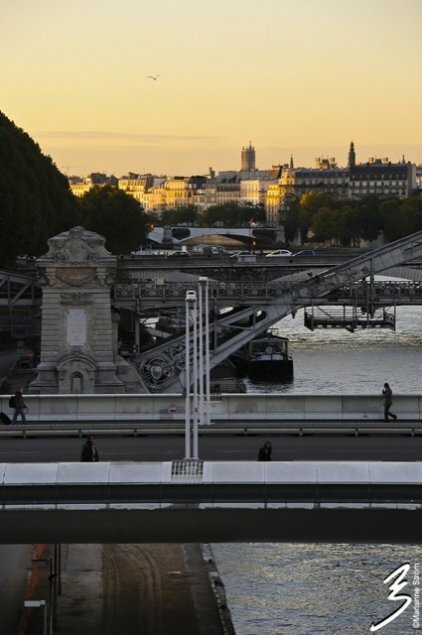 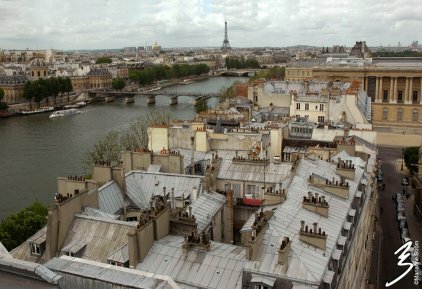 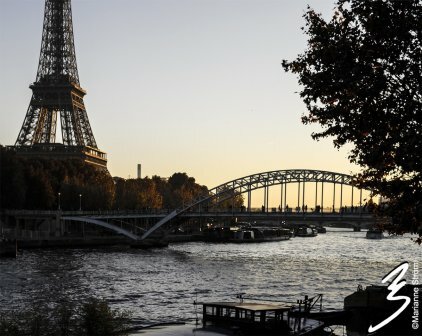 There are thirty-seven bridges and footbridges crossing the Seine river in Paris, which runs from east to west for a stretch of thirteen kilometers. 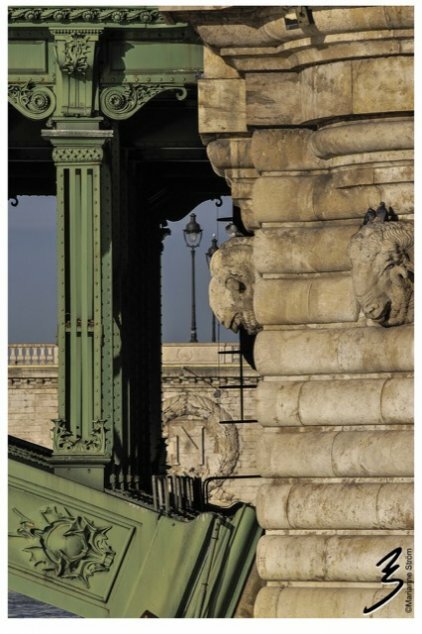 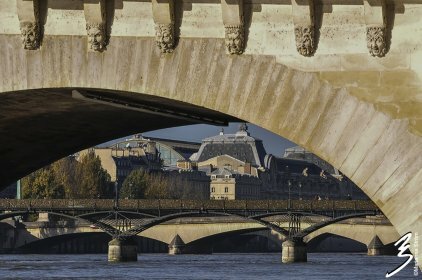 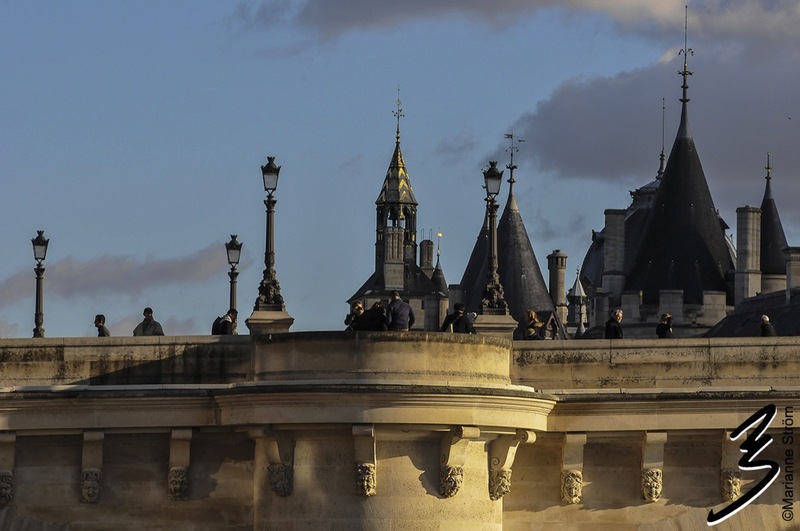 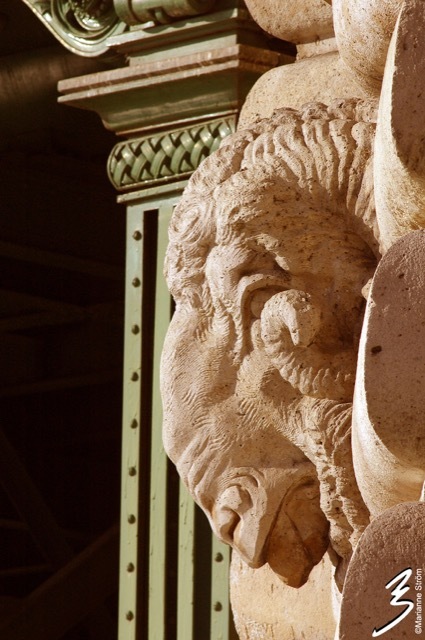 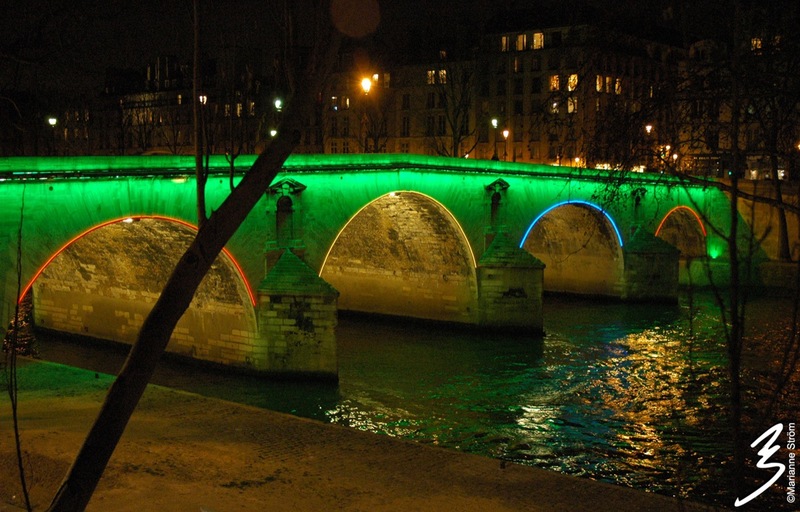 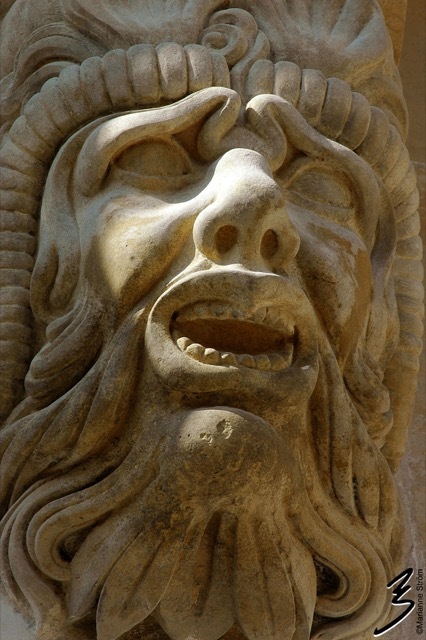 The three oldest bridges are: pont Neuf built under the reign of Henri IV, pont Marie under the reign of Louis XIII, and pont Royal under Louis XIV. 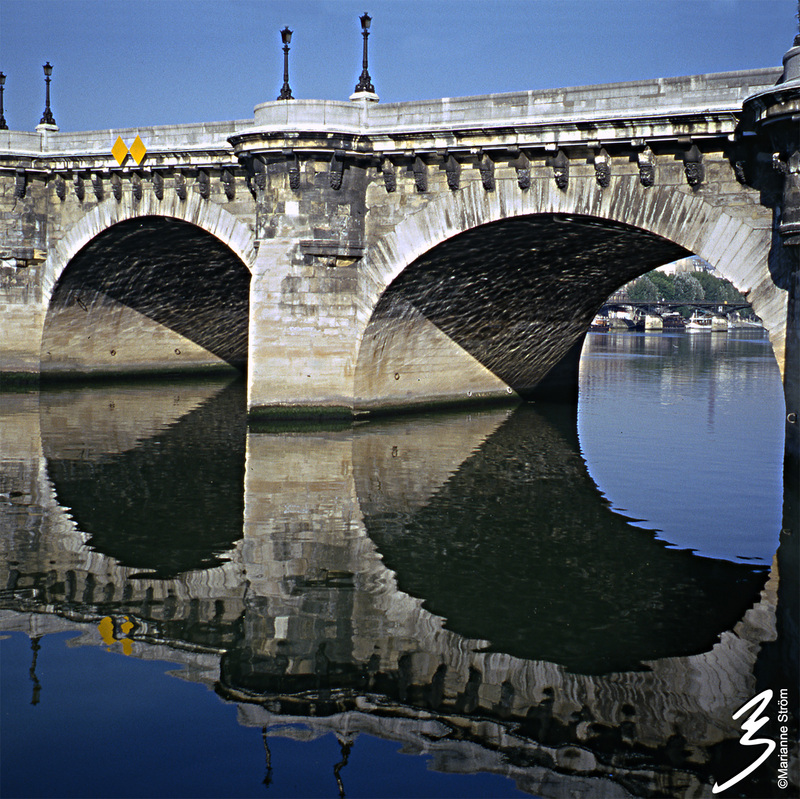 All three bridges have been classified as historic monuments. 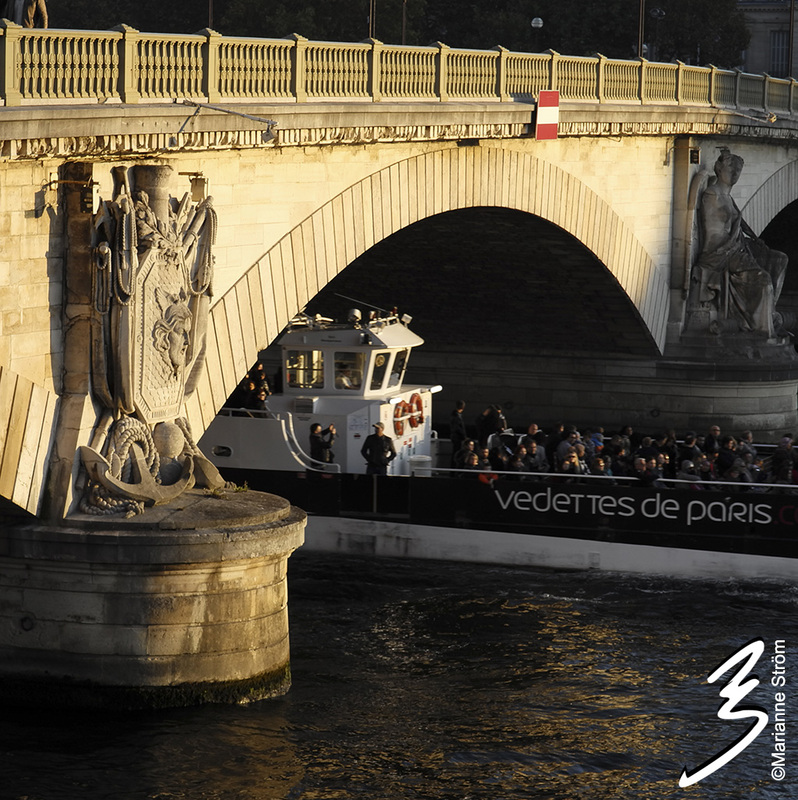 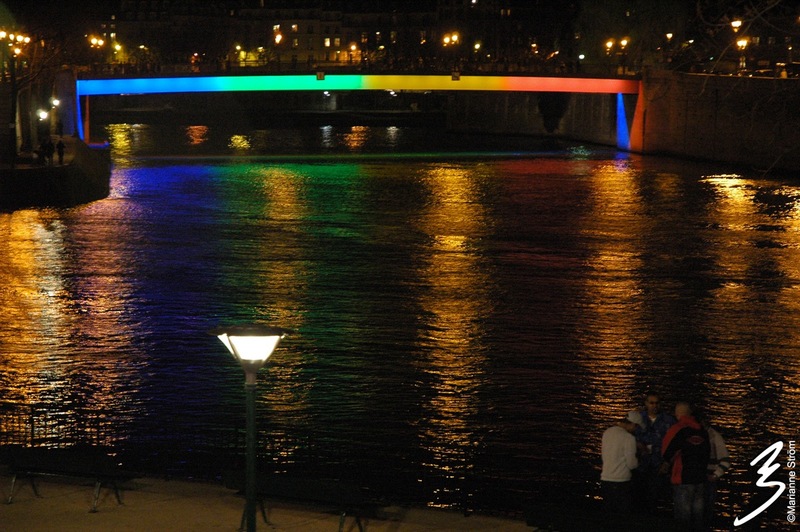 The first metallic bridge crossing the Seine is la passerelle (pont) des Arts, 155 m (509 ft.) long and 11 m (36 ft.) wide. Built (1802-1804) under the reign of Napoleon I it was “identically” rebuilt between 1981-1984. 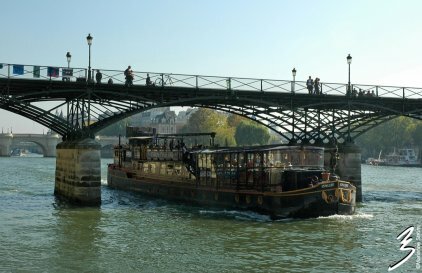 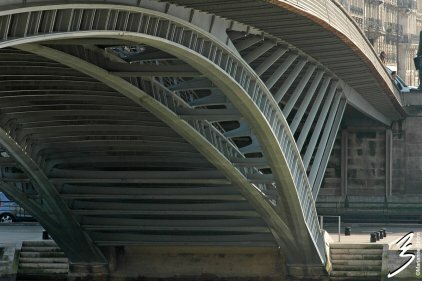 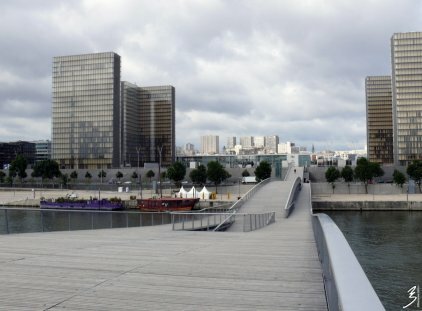 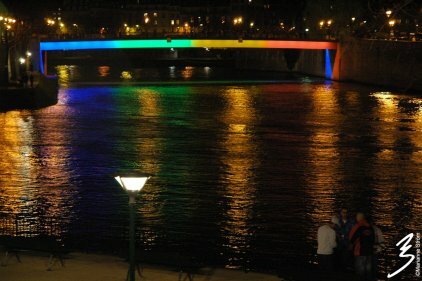 Five are footbridges: Pont Saint-Louis, passerelle des Arts, passerelle Debilly, passerelle Léopold-Sédar-Senghor et passerelle Simone de Beauvoir. 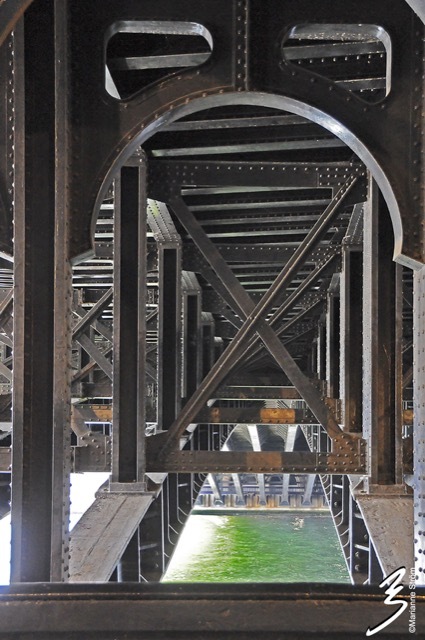 Two bridges are exclusively railway bridges: Viaduc d’Austerlitz and pont Rouelle. 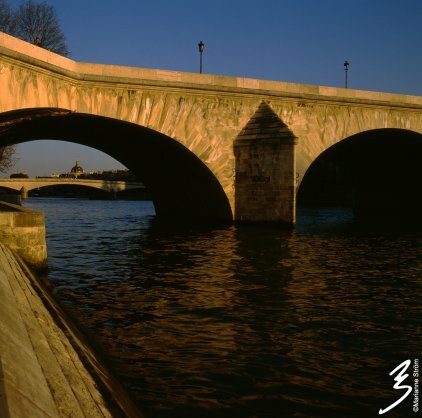 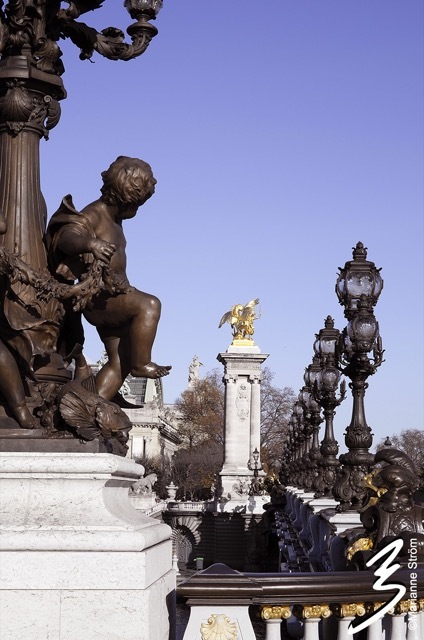 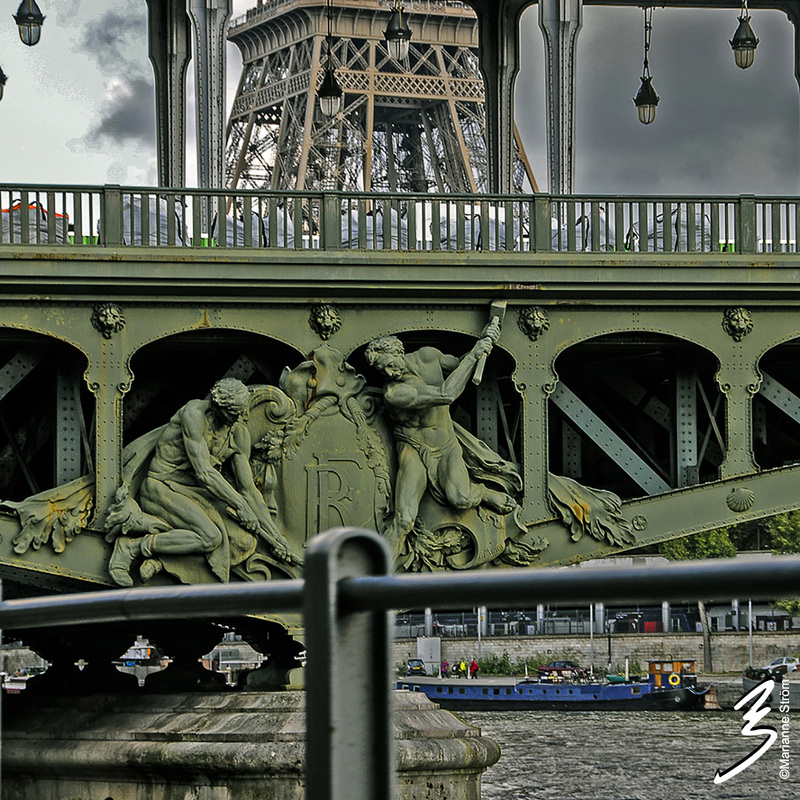 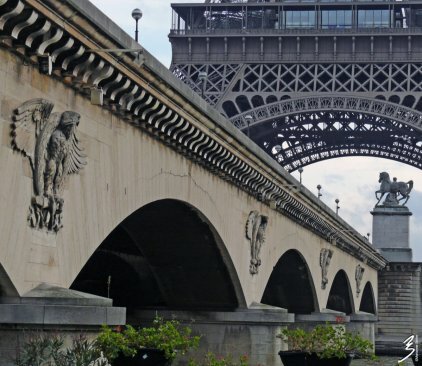 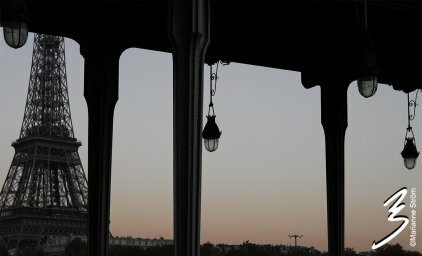 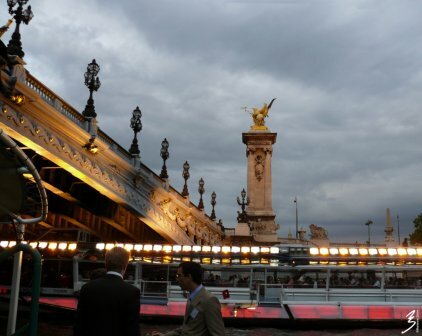 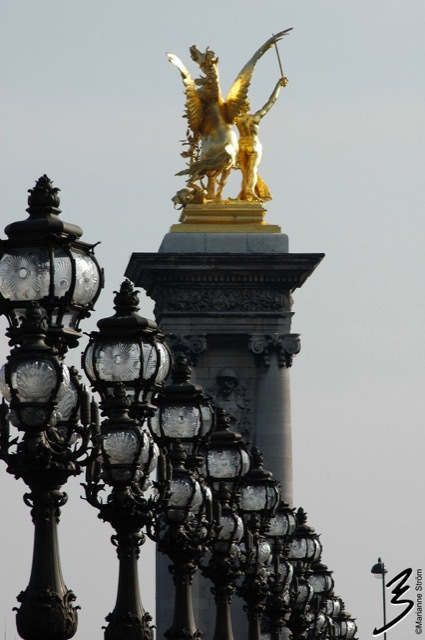 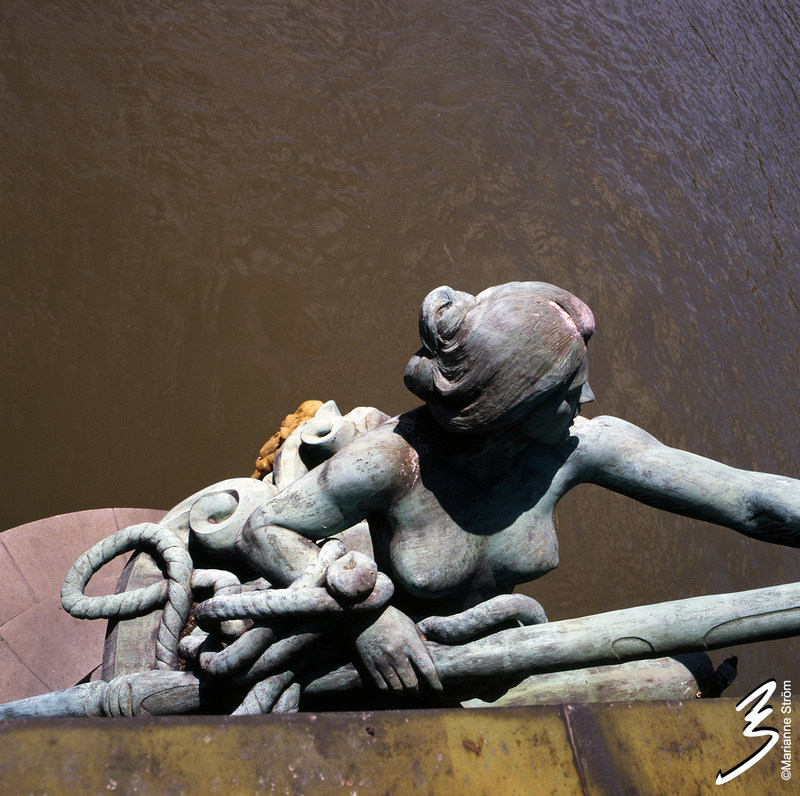 A number of bridges have been constructed for World’s Fairs: pont des Invalides, and the first pont de l’Alma (1855), la passerelle de Passy, the present pont Bir-Hakeim (1878), pont Alexandre III and passerelle Debilly (1900), and pont d’Iéna which gained width, from 19 m to 35 m (115 ft.), built in reinforced concrete (1937). 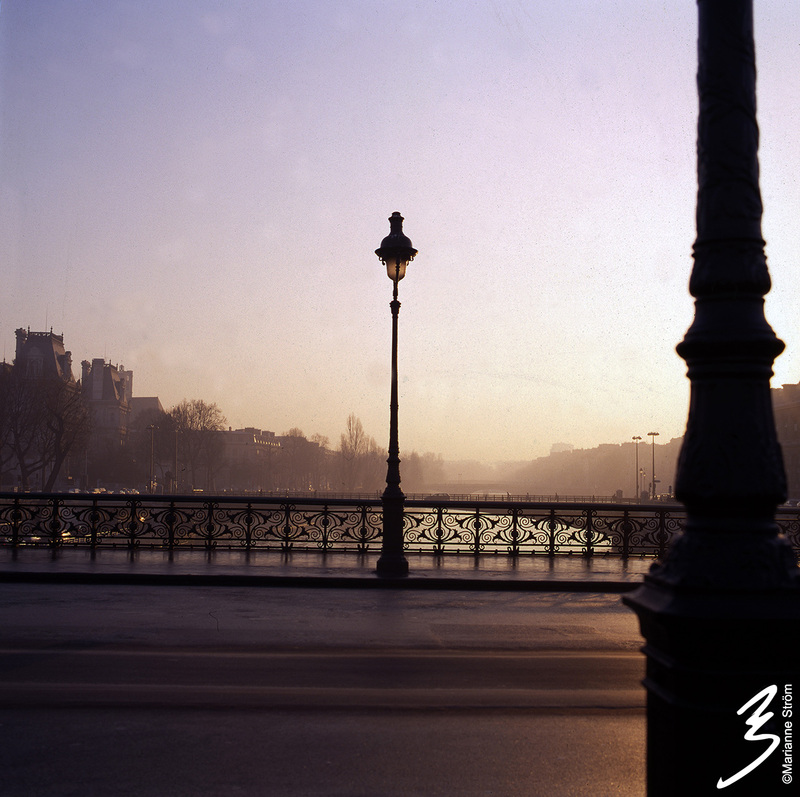 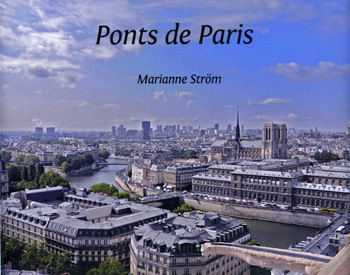 The photographs presented in the exhibition and in the catalogue Bridges of Paris are a selection of photos from my personal archives covering some thousands shots taken over a period of twenty-five years.